I have always been fascinated by other cultures, religions, and political beliefs, as each of these human constructs play a fundamental role in our day to day lives. Often times, we segregate ourselves based upon the groups we identify with, yet even through this separation, we are able to join together amicably through unifying practices such as meals or sports. In the summer of 2016, I was studying in London when the UK voted to leave the EU and Brexit. In the weeks following that decision, I could not escape the caustic discussions about how stupid each side thought the other side was. Meanwhile, back at home, the U.S. was in the middle of what would turn out to be a vicious election. After it became clear that Trump would serve as our new president, I experienced a tangible sense of division amongst my friends, family, and peers. Everyone seemed to take the same approach not only to politics but to their personal interactions: if you aren’t with us then you’re against us. Our country seemed to be more divided than ever. 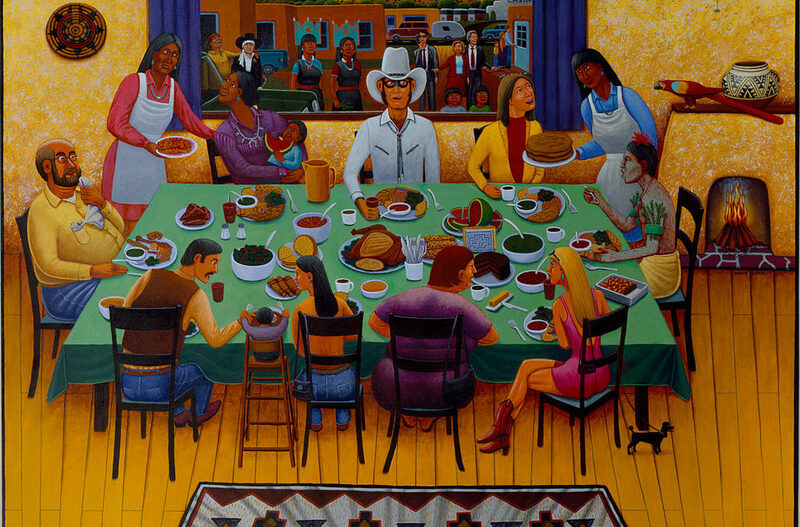 Given that I have family from both, the deep South and from the far reaches of the North, I saw firsthand how polarizing the election had become; however, meal times with my family could continue peacefully (so long as the drinks were minimal and the conversation was limited to our lives and not politics). To me, this was interesting; for some reason, meal times were a sacred ground, a place where we could come together waving white flags and enjoy spending time together. This realization led me to focusing on the one thing I believe unites everyone around the world: we NEED food. With this in mind, I began using my academic background to explore not only the different cultural relationships with food, but the health and economic implications of our differences as well. The topic of food has been perfect for me to explore, I love how even though it can have so many diverse applications, it is still able to unite us all. I was presented with the opportunity to explore this topic abroad last summer through the Peabody Scholars program, and have since been given the opportunity to continue this exploration through the Curb Scholars Program. The goal I have for this summer takes on two different forms. The first is to understand how economics plays a role in food and culture, specifically within the Asia-Pacific Region. Given how interconnected the global economy has become, regulatory policies, especially those affecting food, have undeniably reshaped the cultural connection to meal times. Less than a few decades ago, Asian cities were largely devoid of American fast food chains, but now one cannot walk more than a few blocks without seeing a KFC or Burger King. Meat consumption has soared in Asia, a trend that falls in line with changes to global economic policy. Even the most recent trade war initiated by President Trump has already started to cause change, as governments are preparing to renegotiate meat import and export tariffs. The second goal I have for this summer is to identify how economic policy translates to changes in health. For centuries, malnutrition in Asia has affected the population at large, but with the increase in both fat and protein in the average diet, the effects of diet-related disease have begun to lessen. I have looked to nationally reported data collected by agencies such as the World Health Organization (WHO) to understand how these trends overlap and will continue to look at how specific regions, cultures, and countries differ. I am grateful to Curb for affording me this opportunity to pursue my curiosity, explore new cultures, and have some fun along the way.